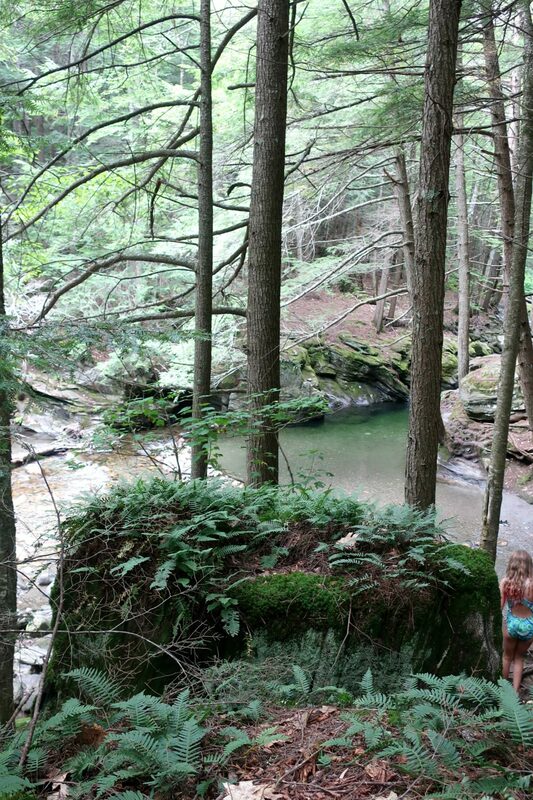 This summer, we went on a road trip to find some good swimming holes. 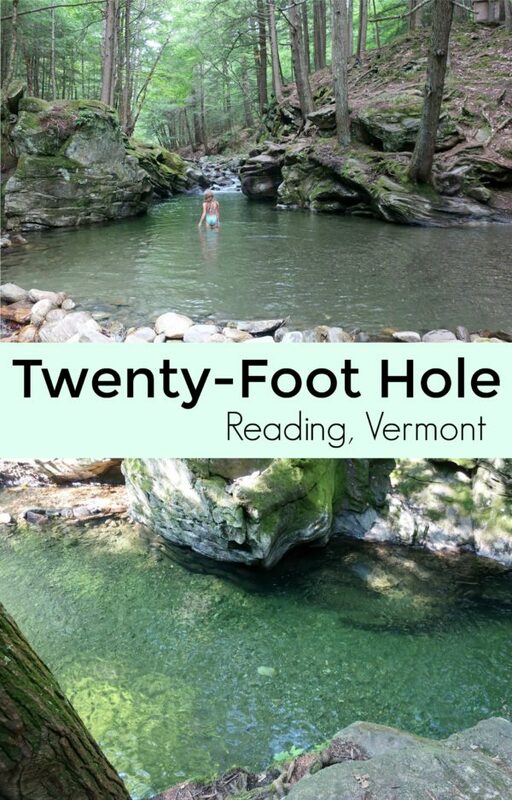 We had heard about Twenty-Foot Hole, which is located in Reading, Vermont (about 45 minutes southeast of Killington). 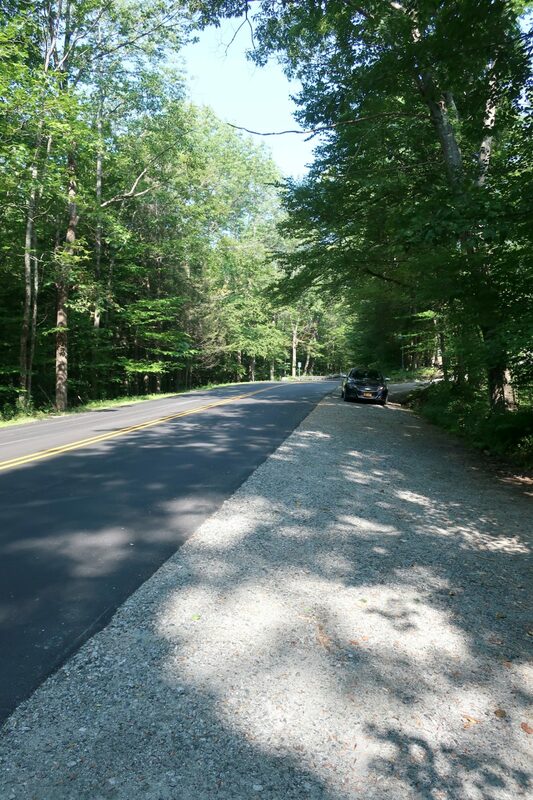 It wasn’t hard to find the swimming hole, and there is a small pull-off on the side of the road where there was a spot to park. There are trails across the street that lead down to the swimming hole. You can almost see the water from the road, but you can also walk downstream. The trail isn’t difficult, although it is steep in parts, so watch your footing. There are three swimming holes here. This is the swimming area closest to where we parked, and the largest. 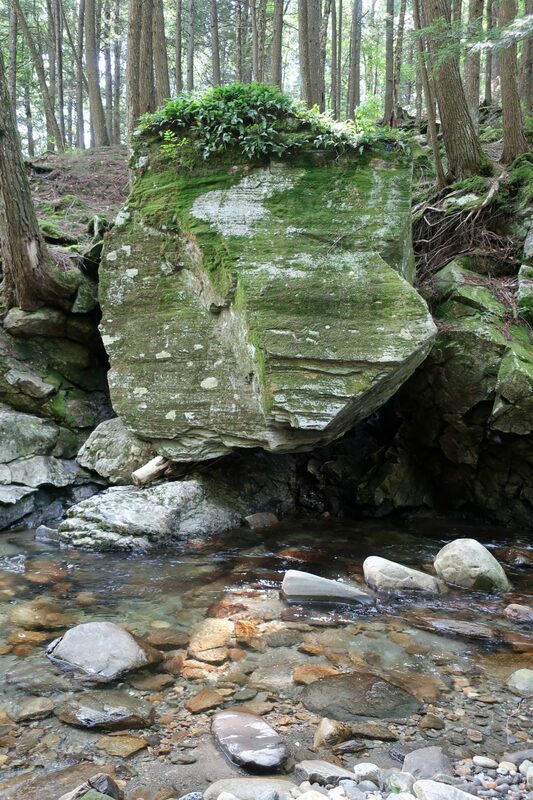 Over the years, people built a little wall of rocks around this pool of water, making it very inviting. We went in mid-August 2018, and the water was pretty chilly. And while water levels were lower than earlier in the summer, there was still plenty of water for wading and swimming. While there is good swimming here, it is recommended not to jump off in any spots as the water is not deep enough. We wandered a little bit to check out other areas for swimming as well. The water was definitely low, but also offers good spots for wading. 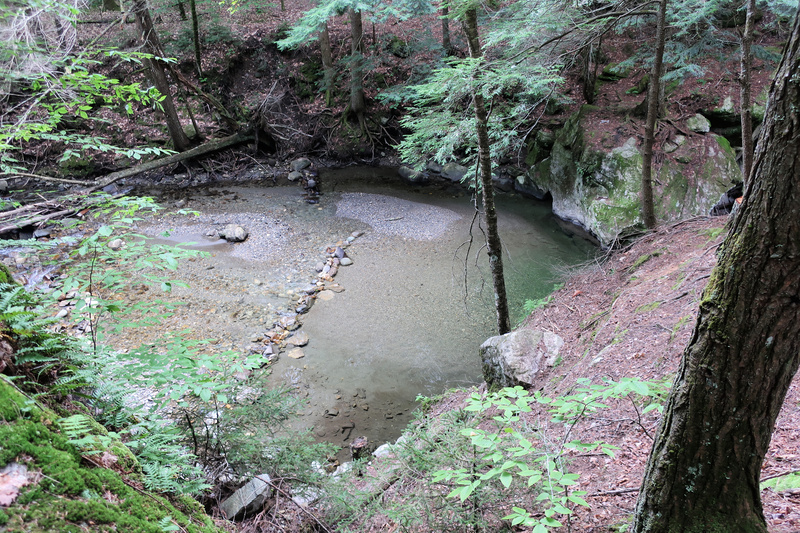 Check out the 20 Foot Hole at the Vermont River Conservancy here. 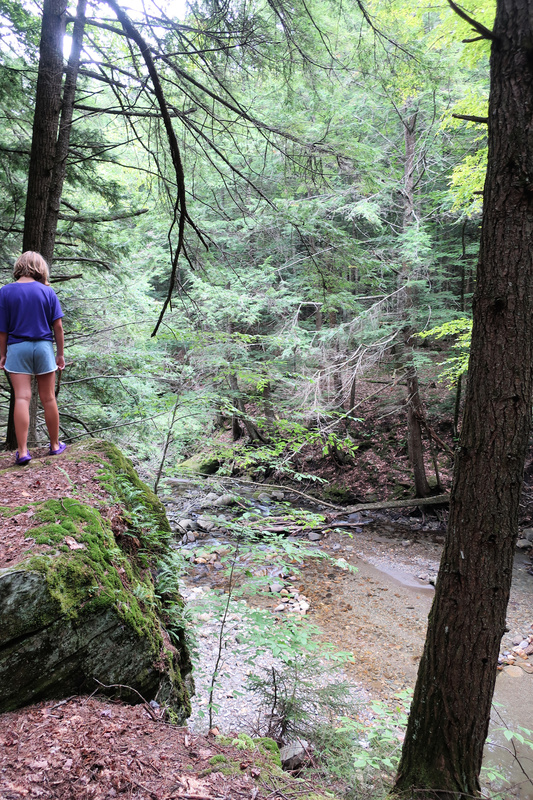 I recommend “Waterfalls of New England”, which was a great resource this summer. We use to have a place like this to go to when I was growing up. We would take a picnic and spend all day there. What a fun experience! The Waterfalls of New England looks like a wonderful resource to keep on hand. It’s been too many years since I’ve visited Vermont. Your post is making me rethink my travel plans and I’ll b heading to Vermont soon! 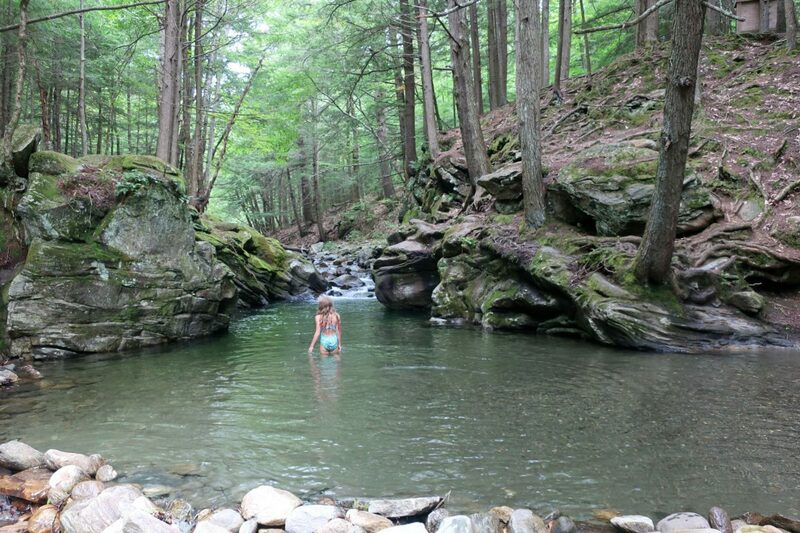 New England has the best swimming holes! 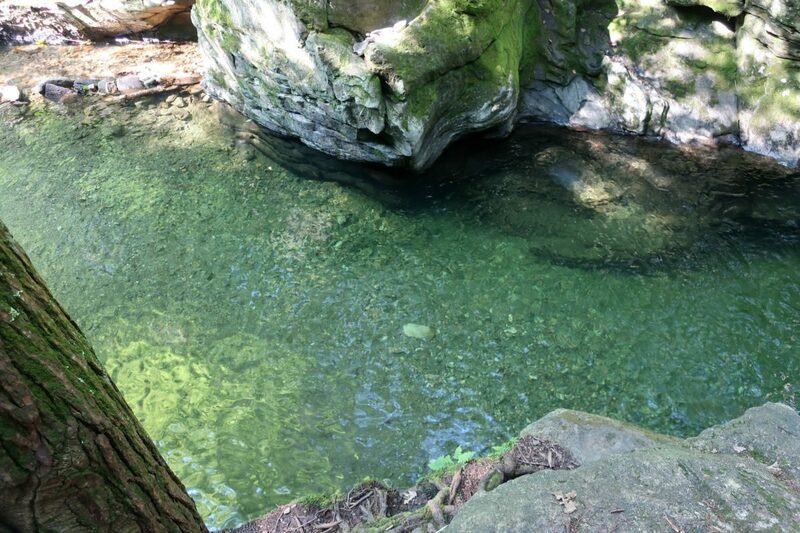 This twenty foot swimming hole in Vermont looks peaceful and a perfect spot to cool off in the summer. What a great place for some quality family time! Beautiful scenery! It looks very peaceful. What a great way to spend the day with family. Twenty-Foot Hole looks like a great place to get outside and explore. We took the kids to a local swimming rock this past summer. It was a lot of fun! Local spots are always the best! That looks like so much fun! I love that you were able to hike & explore! Then you’re rewarded with a super fun swimming spot. I’m sure my kids are going to love it. This reminds me of adventures with my parents and brothers when I was a kid. What a fun family day trip. 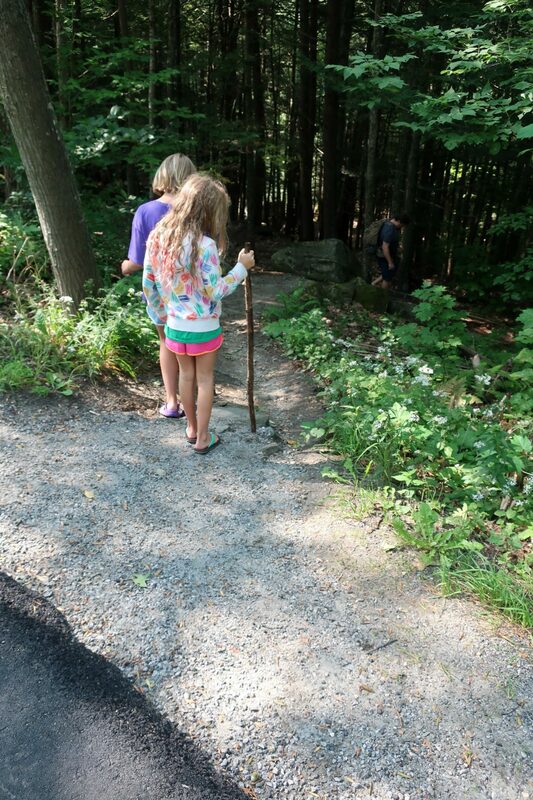 We don’t go on many spontaneous adventures outdoors with our daughters but they would absolutely love it!